The Pegasus is an upside-standing, winged horse dar. The constellation of Pegasus is easily recognized by its four main stars that form a square. This sprawling constellation is found near the northern celestial equator. Some particular globular clusters as well as a spiral galaxy Pegasus to make a beautiful object under observation for a telescope. Four stars form the square "body" of the Pegasus. Three more stars form the neck and the head of the winged horse. 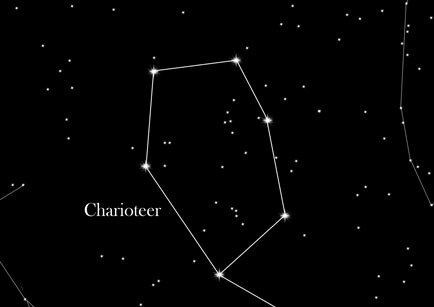 This constellation is located near the celestial equator. Specifics of Pegasus is the monitoring of globular cluster M 15, which is about 30,000 light-years away. This can be with seen with normal binoculars but will only look like a misty spot. In addition, Pegasus offers a spiral galaxy, which is 60 million light years away from us (NGC 7331). For such observations you need a really good telescope. In Greek mythology, the hero Pegasus, was a winged horse with magical powers. It was not easy to tame Pegasus. The hero Bellerophon however, managed to do this, due to a big part of intemperance, and thereby got Pegasus as his horse. He had set his mind to do it, and the ladies and gentleman of Olympus had sent him to end the outrage that the horse was causing. After the death of his children in battle, Bellerophon asked Pegasus to take him to Mount Olympus. Though Pegasus agreed, he plummeted back to Earth after Zeus either threw a thunderbolt at him or made Pegasus buck him off.